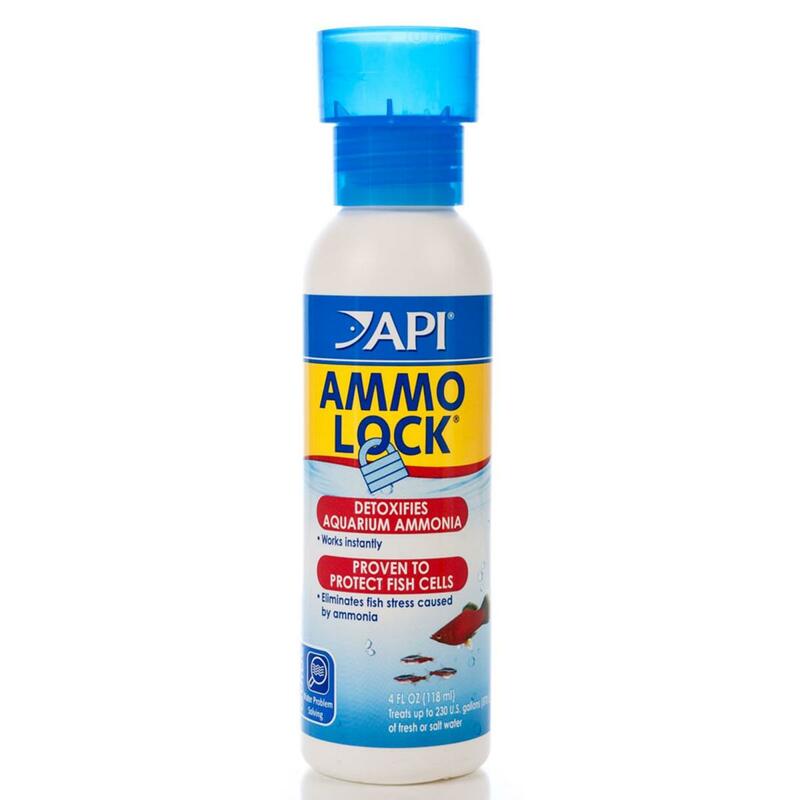 Working instantly to detoxify dangerous ammonia in the aquarium, API Ammo Lock is an excellent item for aiding in successful fish keeping. 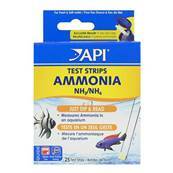 Ammonia is toxic to fish, especially harming the gills, and Ammo Lock is a liquid treatment to protect fish cells and promote healthy gill function. Ammonia produced by decomposing plants, algae, fish waste and uneaten food is converted to a non-toxic form by Ammo Lock, eliminating ammonia related stress to the fish and reducing fatalities. This non-toxic form can then be broken down by the tank's biological filtration, removing the risk to the fish. Ammo Lock can also be used to remove deadly Chlorine and Chloramine from the aquarium, and each dose will detoxify 3.0ppm of Ammonia, 7.0ppm of Chlorine and 5.0ppm of Chloramine. Safe to use in both fresh and saltwater aquaria, Ammo Lock will not harm any fish, invertebrates or plants and is safe to use in conjunction with the majority of medications including Methylene Blue, Malachite Green and Acriflavine. The treatment will not affect pH or Oxygen levels in the aquarium, and does not contain any copper or formaldehyde. Directions: Using the API Dosage Measuring Cap on the bottle, add 5ml of Ammo Lock per 37.9 litres of aquarium water. 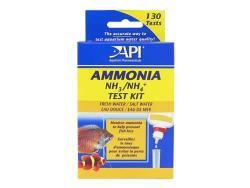 Continue to add Ammo Lock every 2 days until water tests no longer detect Ammonia in the water. Tip: Ammo Lock does not remove ammonia from the water, it simply converts it to a non-toxic form so it can be removed in time by the biological filtration system in the aquarium. After using Ammo Lock, the water will still test positive for ammonia until the filter has completed processing.